Welcome to the Newton Fire & Rescue website! This site is filled with information about our department, programs, permits, and events. If you don't find what you are looking for, or have further questions, feel free to contact us so that we can help you. Thanks for visiting! As of January 01, 2018 NFR will be requiring all underground propane tanks to comply with NFPA 58 sec 6.6.1.6. Please note that the following Town ordinance was passed by the voters of Newton, NH on March 13, 2018 and took effect immediately. The Newton Fire Chief or his/her designee shall enforce the provisions of this town ordinance. 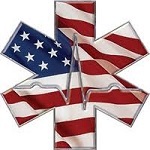 EMS training will be held on the 4th Wednesday of every month at Headquarters 19:00 hrs.